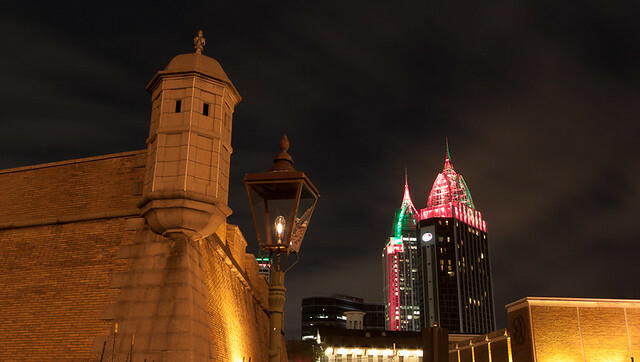 As I have noted in the past Mobile’s history stretches as far back as 1702, when Jean-Baptiste Le Moyne de Bienville founded a strategic fort and town along an important river mouth that led into a large area covering the Southeast. This particular fort was actually built in 1711 when the French relocated the original settlement; a temporary wooden fort was constructed by over two dozen slaves and five white worker men. Fort Conde actually protected the Mobile port for over a 100 years from 1723 – 1820 — although ownership of the township swapped hands from French to British to Spain then finally to control of US soldiers in 1813. This site and the Battle of Mobile Bay is considered a significant naval victory that helped solidify American independence from the British. I was in the forth grade when the time capsule was buried . I think I may have something in it. Would love to be notified when its opened. I was ten years old at the time and attended Peter Joe Hamilton elementary school. On a recent visit to the fort I remembered our class putting something in the capsule. I will be sixty years old when its open. how’d you find this posting on my site by the way? this “Fort Conde” post is 2007!